ILLUSTRATIONS: Jason Kenney, the victor in the PC leadership campaign now trying to create a narrative of invincibility about his ambition to lead Alberta. Below: Author Barret Weber. Charts shown are based on the Royal Bank of Canada fiscal tables, updated as of March 22, 2017, that show Alberta’s debt situation under the Alberta NDP is nothing like the scary picture Mr. Kenney has been trying to paint. So it’s time for Albertans to have a sober conversation about the kind of policies he would likely implement if he won power, based on his political history and the platform implied by his successful leadership campaign. Fresh off his first-ballot victory at the Progressive Conservative leadership convention in Calgary on March 18, Mr. Kenney and his supporters quickly pivoted to give his tarnished image a makeover. Suddenly, Mr. Kenney was no longer the arch social conservative unafraid of being on the wrong side of history on gay marriage, LGBTQ rights, workers’ rights, women’s reproductive rights, environmental stewardship, or pretty much anything else that progressive Canadians support. Overnight, or so we were told by Mr. Kenney’s backers, he had become as moderate as can be, especially since his bid to run the PC party began in earnest last summer. The problem with this story is Mr. Kenney’s long track record as a Conservative Member of Parliament and the things he said in numerous social media posts and speeches he has made in in recent months. It is no secret Mr. Kenney is a social conservative with some very unpalatable opinions that many claim would take us back to the 1950s – or at least to the 1990s when he left Alberta for Ottawa. He has voted in favour of Motion 312 in Parliament in 2012, for example, the failed attempt by Conservatives in Parliament to undermine women’s reproductive rights protected by the Criminal Code of Canada. Wildrose Party Leader Brian Jean also supported that motion when he was a Conservative MP, by the way. But even if we were to ignore Mr. Kenney’s voting record as an elected MP since 1997, his recent campaign for the PC leadership alone gives Albertans plenty to worry about. The entire campaign, and especially its social media component, seems to be based on the idea Alberta is in a state of terminal decline. It implies that only a broader conservative movement led by Mr. Kenney himself can save us from an unpalatable fate. The problem is that there is little evidence to support the idea Alberta is in an economic death spiral. While it is true the province is undergoing an economic transition due to relatively low oil prices (in reality, what are historically average oil prices over the past 40 years), the Kenney campaign has done everything in its power to blame this situation on the “disastrous socialist” NDP Government, as he Tweeted earlier this month. Other hyperbolic and inaccurate expressions found regularly on Mr. Kenney’s Twitter feed include “drowning in debt,” “Alberta’s fiscal house is on fire,” “future mortgaged by debt,” “anti-growth policies,” and the like. But as we can see from the two charts accompanying this story – both based on the trustworthy Royal Bank of Canada fiscal tables, updated as of March 22, 2017 – Alberta’s debt position, measured on a per capita basis or as a percentage of Gross Domestic Product, is stronger than that of any other Canadian province. Obviously, the former CEO of the Canadian Taxpayers Federation in the 1990s isn’t shy about using debt as a political weapon, even when the facts hardly warrant his hyperbole. Is Alberta really “drowning in debt”? If it is, what does this say about Canada’s other provinces? The new PC narrative under Mr. Kenney that Alberta is a state of terminal decline serves to justify the Conservative claim a strong man is required to take severe countermeasures, much as we saw last week in Saskatchewan in Premier Brad Wall’s controversial budget. The implied Kenney platform is that the privatization of public assets, severe cuts to public services, and downloading the lion’s share of taxation from corporations onto the backs of working people are all necessary given the current fiscal crunch. This entire Kenney program is based on fear: Fear of debt, fear of decline, fear of fair taxation, and, above all, fear of the current provincial and federal governments. It’s clear Mr. Kenney’s implied policies would inflict harm on Albertans, especially the most vulnerable who rely on social services. 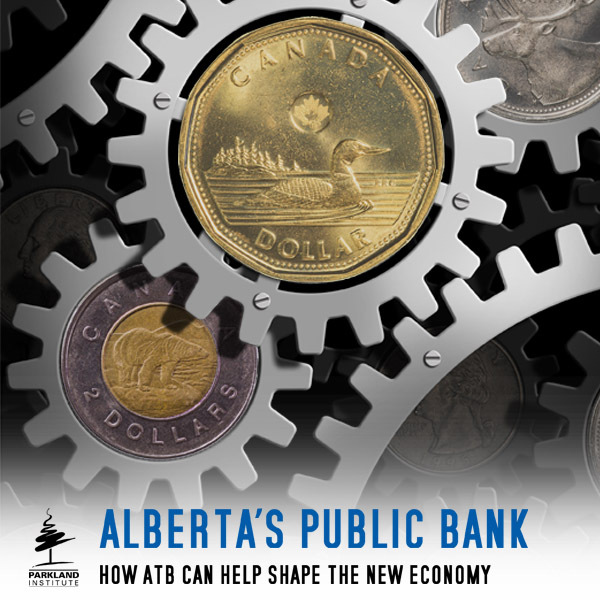 Last year, the Alberta Federation of Labour calculated austerity inherent in the Wildrose Opposition’s policies would “usher in a second recession” by shrinking the economy by $10 billion per year. The author of that report found that such measures would result in 22,000 direct job losses in the public sector, plus an additional 16,000 in indirect job losses. The Wildrose Party’s policy boils down to this: We will solve Alberta’s unemployment, caused by the decline in oil prices, by laying off even more people! Mr. Kenney’s implied policies – with or without a successful union with the Wildrose Party – do not seem to be much different. Every day I hear resignation and fear from acquaintances and colleagues that Mr. Kenney will sweep to power in Alberta, just as he swept the leadership of the PCs. The goal of the Kenney campaign’s narrative is to create a sense of invincibility about his ambition to lead Alberta. But this sort of pessimism is wrong-headed and defeatist. Not only should we resist his well-financed campaign, we can do so in the confidence he has given us the tools to resist successfully in the things he has said and stood for. Mr. Kenney’s track record is a key vulnerability for the next step in his campaign. His alarming social media campaign during the leadership race provides plenty of ammunition. We certainly shouldn’t buy what Mr. Kenney is selling when even many on the right for good reason do not! We should recognize the danger he poses to our health care, education and social services in Alberta. The reason Mr. Kenney won the PC leadership wasn’t because of what he offered to Alberta. It was because he out-organized everyone else in the rag-tag band of Tory traditionalists that opposed him. He successfully implied he has all the answers without actually discussing a single aspect of public policy other than his desire to repeal the carbon levy. It’s no accident Mr. Kenney ran on a platform of destroying the PC party itself. Destruction is what he does. So, we need to learn from the mistakes the PC traditionalists made and not underestimate Mr. Kenney’s organizational skills, or his willingness to achieve power by whipping up fear and self-loathing among enough Albertans to persuade them to throw the proverbial baby out with the bathwater. This is not so different from the mistake made by the Democratic Party in the United States, which underestimated Donald Trump’s ability and willingness to use pervasive notions of Western decline to his advantage. 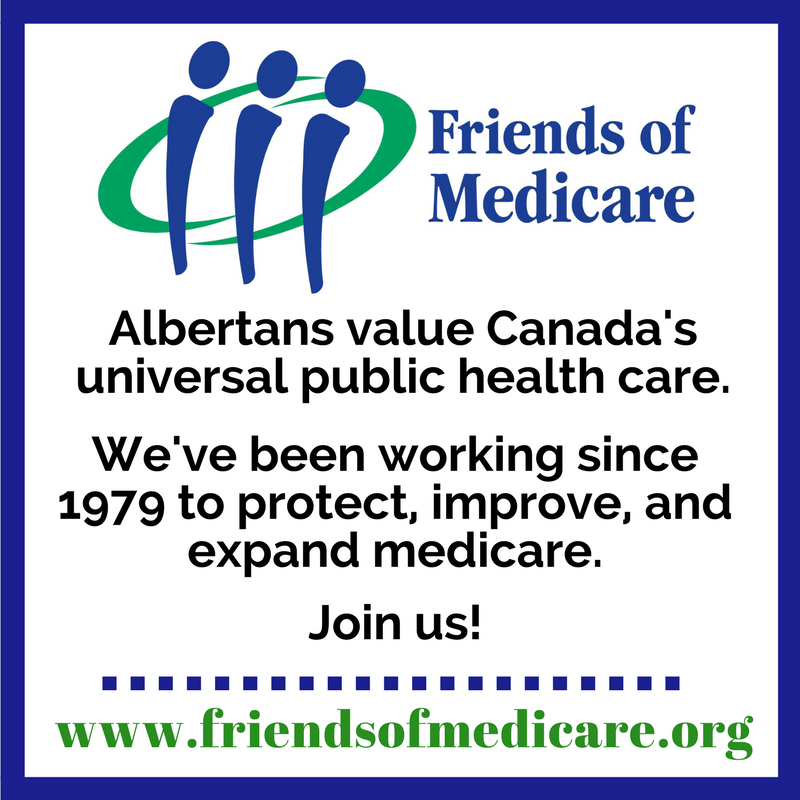 Barret Weber is a member of the Friends of Medicare and earned a doctorate in sociology from the University of Alberta. All personalities aside, from where I sit, it looks to me like anyone who pledges to undo the damage the majority of Alberta residents see as ‘NDP caused’ since taking power, will be elected in a landslide in 2019. And no, pulling an early snap election will not change that eventuality. Wow you want to undo new schools,hospitals,new infrastucture and pipelines all because you dislike the NDP? Does anybody think Kenney will undo new pipelines? what damage, specifically, do the majority of residence see, as it looks to you? Mr. Kenney wants to be elected. Elected leader and elected Premier. He craves power, influence, and wants access not only to the trough but wants to control who feeds at the trough. He is a political junkie. He will do anything, say anything, and promise anything in order to get elected. He presents himself to social conservatives as one of them, He presents himself to red tories as someone who is not adverse to their positions, even supports them. And he is a bully boy in the bargain. What is one to believe? He is a chameleon. As a conservative I could never vote for him. I think we need someone who has actually worked in the real world vs. a career politician. Even after this painful (to an outside observer), leadership race we still do not know where Mr Kenney stands other than everywhere. Alberta deserves better than a washed up, power hungry has been. Nor do we need the type of back room people that Harper and Kenney seemed to gravitate to. The Bruce Carsons or the Don Merideths, and the Mike Duffys of the world. Enough already. Let’s have real change for Alberta. I sure hope they (new party) can get it together and offer a reasonable alternative to Alberta voters. i guess if Mr. Kenney happen to win next election it would be not because of of his policies or organizer talent but rather because inaction of Ms. Notley in regards and issues of average, non-political majority of Alberta. will it bring changes for better? i doubt but usually people have hope and he will play on this. Kenney is the stooge of harper, he is an opportunist but not much substance there, he wants to get elected – his policies are Jurassic in nature – the average citizen will feel the pain if he gets elected. That nice d3bt is due to PC. Give NDP 4 years then talk. Trump is doing fine. He is in place as POTUS. Kenny is what future generations need. On what planet is Trump “doing fine”. By what criteria and according to who, exactly? And even were that true, why should the success of a ignorant bullying conman determine Alberta elections? Unless you like, ignorant, bullying conmen, of course. It remains to be seen how many Albertans are of your way of thinking. I doubt it’s much more than 35%, which is not enough to restore permanent Conservative rule. Great article. I would add that I think there are reasons to be optimistic about Kenney stalling out (though that should not be an excuse to stop working towards that end. Even though it appears that there was active support for him in the ridings, time and again we’ve heard reports that his organization stacked the deck with active supporters. My point is that there wasn’t an active groundswell of “the grassroots.” He gamed the system. But it’ll be harder to game the system of the rank and file of both the parties, and harder still with the electorate. I agree. To win a general election the same way he won the PC leadership, Kennney would have to import a huge number of non-Albertans and register them as residents. in this respect, mr. Kenney and ms. Notley in even. one rely on private sector, another on unionized movement, both of which influential but don’t present majority..
majority of voters is apolitical “grassroots” electorate and at election time does select “lesser evil”. my guess in 2019 this “grassroots” will choose PC, based on remaining memories about “good times” of the past, as NDP not yet offered for them anything better at present and for the future. Good times of the past??? are you smoking something? The last Tory regime stole from the almost bankrupt Heritage Fund to balance the books, all the while giving tax breaks and royalty breaks to their bosses in the oink and gas industy…oil is still grossly overrated and there is a glut in the market…in case anybody had missed it. 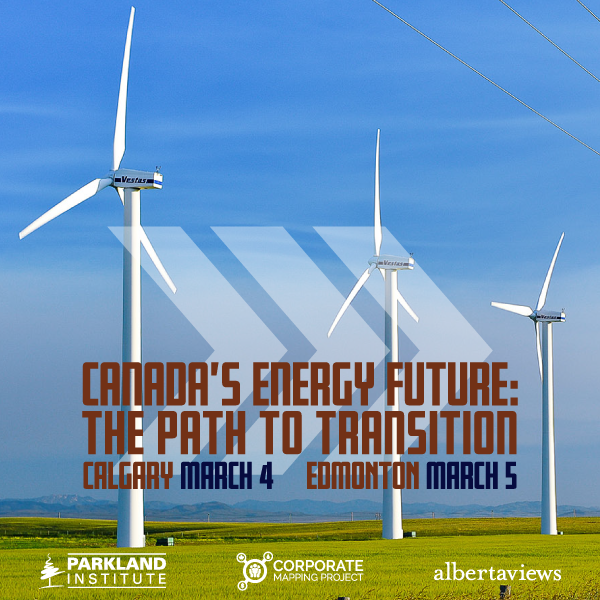 Oil sands investors are selling out and getting in to renewables…only dinosaurs haven’t seen this yet…and likely never will….more jobs in renewables. well, you see, that’s the problem in dealing with masses – they won’t go in depth and details but instead will recall positives like steady job market, province awash in cash, pretty colorful perspective for continuing growth of prosperity, etc. i know and you know and every one else know – fall in oil revenue isn’t fault of ms. Notley but nevertheless, people need someone, to blame for worsened personal wellbeing. so, who’s best target for this purpose? on another hand, what ms. Notley did, popular enough among “grassroots” electorate, to compensate lost opportunity on economy side and to secure her future as premier with majority in legislature? in the past in this blog was counted as positive new cancer center, new hospital, new homecare facility, new schools, new roads, rise of minimum wage, etc. all that nice but at the end “grassroots” ones who will pay for this, with thought somewhere deep inside, that min. wages rise for 3% of provincial workforce only will result in increase (already inflated in comparison to rest of Canada) cost of living for everyone in Alberta. that infrastructure build by them one day could be simply privatized in ratio penny on dollar, as it was in past. you see, the comment section of this blog is interesting but far from reflecting reality. more looks like marxist club where heads buried in sand of abstract imaginary world. i was greeter of perspective changes in Alberta and expected fresh thinking and approach. same disappointment can be seen in my surrounding, relatives, friends, neighbors even among those, who was supporters of NDP in past election. they aren’t members of political parties but will do next election outcome and looks like it won’t be NDP. Sounds to me like a throw back to Ralph Klein era. We are still digging ourselves out of the disaster it was more than 20 years later. Kenney’s demagogic dystopian view of Alberta signals bad news for Albertans. Silent on what constructive measures he would support to remedy this false illusion of provincial despair, he continually evokes fear, expecting voters to take a flying leap of faith in his undeclared vision. It’s almost like he’s saying to Albertans, jump over the cliff and we will catch you in our net — maybe. In America the Net Debt to GDP % is in the triple digits, the Americans make Quebec look like well Alberta by Comparison. People need to stop comparing government debt to personal debt, special circumstances were invovled in the Greek situation. Is one’s belief’s a true measure of how they will govern? Ralph Klein considered himself a Liberal before he ran for the PC’s. Look at our Premier, she spent most of her political life demonstrating against pipeline developement and campaigning for higher royalty rates on oil. What happened when she became premier, she ended up actually lowering some royalty rates and is now one of the loudest proponents of building pipelines in Canada. My point is that sometimes the reality of governing makes your own personal goals unattainable. As for Jason Kenney, he has a long history as a more than competent politician in Canada, if he does become leader of a United right of center party watching him and Premier Notlet debate the issues will be great entertainment. JK was, is and always will be a ‘useful idiot’ for the privileged top 15% who are literally scared as hell that the vast majority of average to blow average income earners will finally figure out that a hell of a lot of wealth was made in this province over the last several decades by someone other than the majority of Albertans. Might be time for this little self-entitled group to take a hit for the rest of us. I am afraid that the 15% ‘ers have saddled up to a minion whose intellectual or communicative capacities may not be up to the task. Ralph Klein he ain’t!!! Hell he ain’t even a capitalist really! And certainly not a populist!! Sorry robber barons, you picked the wrong minion. Privatization has driven healthcare costs higher by privatizing healthcare administration via contracting out in BC. Obviously this is the kind of costlier nonsense would be done to Albertans under Kenney/JeanWRP’s ideological austerity agenda. Cost of Maximus contract has ballooned over its 10-year term. Not impressed by a very slanted article authored by a union activist. I am impressed by the article, because it lays bare what Kenney is about. More Albertans need to know before they make the mistake of supporting this Harpercon cast-off. Where oh where is FarmerB! We need you FarmerB, the socialists are eating our cookies! We don’t like eating cookies baked by conservatives. We socialists prefer homemade “special” brownies. An excellent analysis of the Kenny phenomenon….particularly in the spin traditional conservatives are putting on the debt hysteria. I only learned recently that Saskatchewan’s debt was about equivalent to ours…thanks no doubt to the omissions of corporate owned media….and the solution Wall has come up with to solve Saskatchewan’s deficit is similar to what Klein used in the 90’s. But if we look at the graph in this blog, it appears that Alberta’s debt is the lowest in relation to our GDP of all the provinces. In short, another radical right wing tempest in a teacup. It makes me think that what is actually going on is not simply ideological (old white conservatives terrified of a socialist government), but an indication of how little many so called conservatives actually know about running a society. What I’d like some stats on in subsequent blogs is how in debt are many of our Oil Companies? What’s the average level of citizen debt? How many of those condominiums and new apartments going up all over Calgary are being financed by debt? Because if the stats above are accurate, the NDP is doing exactly the right thing….and in no danger of sinking as a province, unless the entire country is going underwater. I’m more than happy about most of the new NDP legislation……..the last bit of news, about money for conservation and habitat restoration in our watersheds, being perhaps the best news of all. Let’s share this take widely…and speak up for our province. All that is necessary for bad things to happen is for good people to do nothing. And bullies count on that. Electing Kenney would be the same as giving the helm to the manning institute. We know better than that. Thanks to Jim Prentice we know that for conservatives math is hard. Or are they faking that in hopes of pulling the wool over the eyes of Albertans one more time?